Be Real With Your Grind! (Future, Kyrie, & Teachers), Pacquiao-Broner & Boxing Talk + 2018/19 Championship Weekend #SavagePicks! 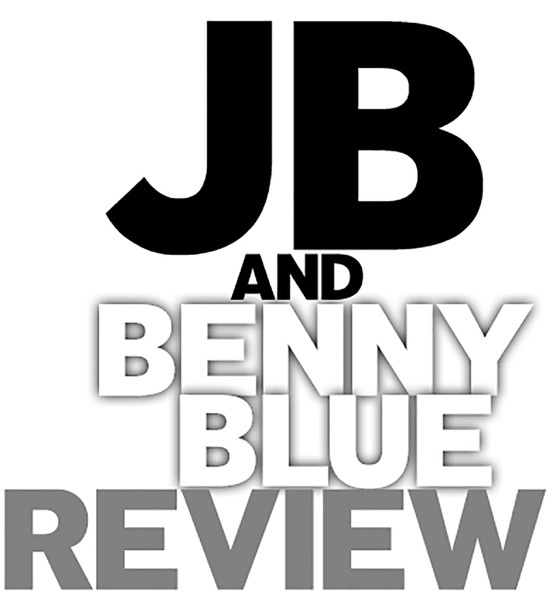 Discover JB And Benny Blue Review Be Real With Your Grind! (Future, Kyrie, & Teachers), Pacquiao-Broner & Boxing Talk + 2018/19 Championship Weekend #SavagePicks! On this episode of the Review, the Savage Duo open things up by discussing some current events in a new edition of JB's "Be Real With Your Grind" segment, including Future's Lean confession, Kyrie's trouble with leading the Celtics, and our country's absolute garbage support of our nation's teachers! Then, they talk a little Pacquiao/Broner and the big fights coming this year in boxing. Finally, they wrap things up with strong edition of #SavagePicks for the AFC and NFC championship games! Get Your #DontBeDumb hoodies now! Unisex Fitted 100% Combined Cotton -- go to jbandbennybluereview.com/merch to order yours! Rotosurance (Fantasy Sports Insurance) -- Protect your NFL fantasy football team for when injury strikes! Use promo code JBBenny20 at checkout for 20% off your order! Pacific Home Buyers: Your Home Sale Starts Here. Want to sell your home for a great cash price? Our deals close within 5 to 10 business days! Call 323.963.3417 now to get started! Listen on iTunes, Spotify, Stitcher, Google Play, TuneIn, CastBox, iHeartRadio, & YouTube! Subscribe to our YouTube Channel for exclusive visual content! jbandbennybluereview.com | Follow @JBandBennyBlue on Twitter, Instagram, and Facebook! The Impact of Nipsey Hussle (His Brand, Music, & Message), NCAA March Madness Recap & Title Game Predictions, + JB's "You Wit or Not?" State of the GMen & Savage Boxing Talk (wsg Kevin Robinson) + The Review's Uninformed 2019 NCAA March Madness Picks! Super Bowl 53 #SavageRecap + JB's Guide to the Alliance of American Football League! How To Fix The NFL Rooney Rule For Good & JB's "You Wit It Or Not?" + 2018/19 NFL Divisional Round #SavagePicks! Interview With "For The People" NFL.com Fantasy Football League Winner + 2018 NFL Wild Card #SavagePicks! 3rd Annual #DontBeDumb Awards + 2018 NFL Week 17 #SavagePicks! When Keepin' It Real Goes Wrong: NFL Edition & JB's "True NFL Stories" + Week 15 2018 NFL #SavagePicks! 2018 3rd Quarter State of The Birdgang & Week 14 NFL #SavagePicks + Boxing Talk & JB's Don't Be Dumb! State of the Big Blue (Goodbye Jim Harbaugh?) + 2018 NFL Week 12 #SavagePicks! 2 Legit 2 Quit (10 NFL Teams That Need To Make A Choice) & Week 11 NFL #SavagePicks + A Special #DontBeDumb! JB's Burning (Fake Friends & Gun Violence), Week 10 NFL #SavagePicks, & New JB's "You Wit It or Not?"! 2nd Qtr State of the Birdgang, 2018 NFL Midseason Check-in, & Week 9 #SavagePicks + Live in Hollywood! Midseason NFL Fantasy Football League Check-In & 2018 NFL Week 8 #SavagePicks + New JB's "You Wit It or Not?" The Review's 100th Episode | 2018 NFL Week 7 #SavagePicks & Best-Of Clips From The Podcast! CFB/Fight Talk & 2018 NFL Week 6 #SavagePicks + A NEW JB's #DontBeDumb! State of the Birdgang (AZ Cardinals Weeks 1-4) & 2018 NFL Week 5 #SavagePicks + New JB's "You Wit or Not?"